LATE PTE. W. C. ADDEMS. 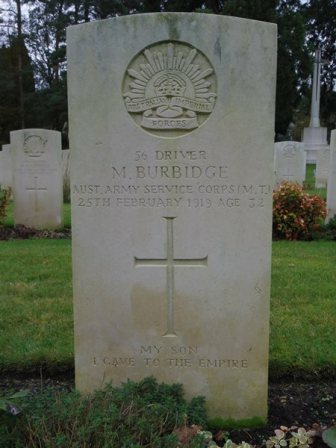 News has been received in Mount Gambier that Pte. 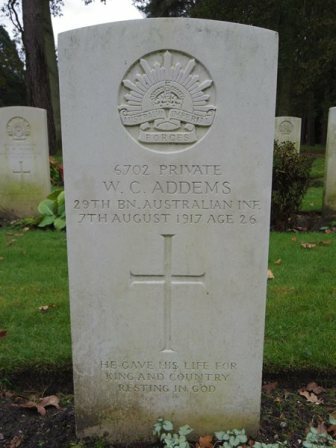 W. C. Addems died on August 7, at the 4th London General Hospital. The cause of death has not been stated. The deceased was a son of Mr. A. Addems, of Mt. Gambier. Son of Frederick S. & Mary J. Agutter, Mosman, N.S.W. AGUTTER. 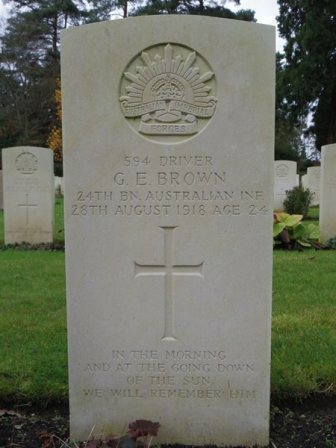 — Died of Influenza and pneumonia, on October 31st, 1918. Corporal Albert Edward Agutter, 110th Howitzer Battery, A. 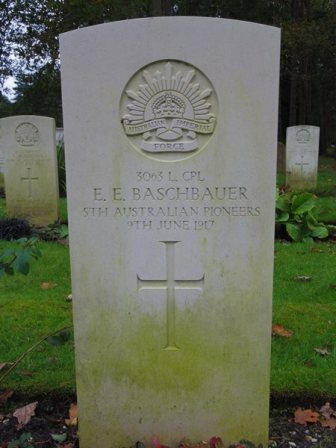 I.F., dearly loved and only surviving son of the late Captain F. S. Agutter, and Mrs. Agutter, "Wyanbah," Calypso Avenue, Mosman, aged 30. AGUTTER. 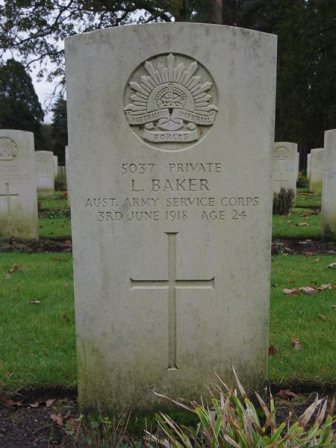 — Died of influenza and pneumonia, on October 31st, 1918, Corporal Albert Edward Agutter, 110th Howitzer Battery, A.I.F., dearly loved fiancee of Linda Mackenzie, Bexley. 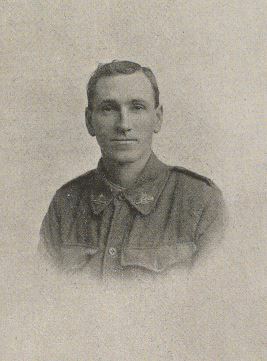 Lance Corporal Norman Wilfred ALLISON 502 M.M. 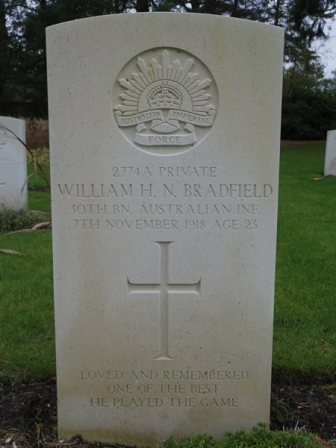 Son of Wilfrid Harold & Mary Florence Allison, of Beauty Point, Tasmania. During the operations against POZIERES, 20th to 26th July as A.M.C. man attached to the Company he did splendid work and attended the wounded under very heavy shell fire, only resting when thoroughly exhausted. attention in England. 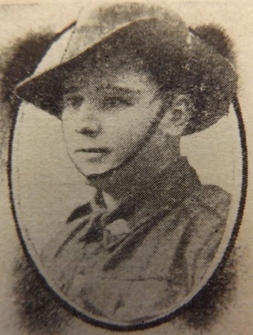 Lance-Corporal Allison was a state school teacher, and enlisted in Hobart. 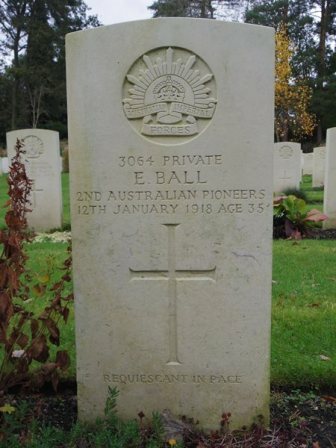 He went through the Gallipoli campaign, and went to France. He went with the A.M.C., but joined the A.I.F. He was extremely popular, and his many friends will regret to hear of his death. Mr. and Mrs. Allison and family have the sincere sympathy of a large circle of friends. 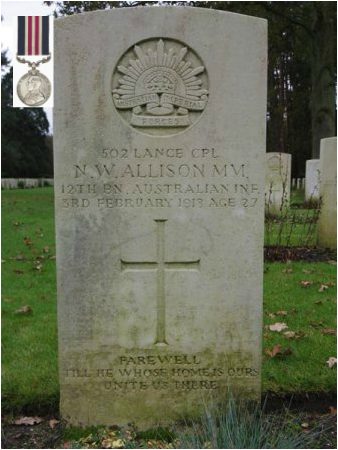 ALLISON.-Norman W., Lance-Corporal, of the 12th Battalion (late 3rd Field Ambulance), and second son of Mr. and Mrs. W. H. Allison. of "Streanshalb,"
and greatly missed. He gave his life for those he loved. stricken with trench fever, which caused him to be sent to England for the second time. He had only got back to France a short while when he made the supreme sacrifices The deceased soldier was a son of a former well known and popular resident, the late Captain Amery, whose memory old residents will associate with the arrival in this port of that trim little craft The Crummock Water. 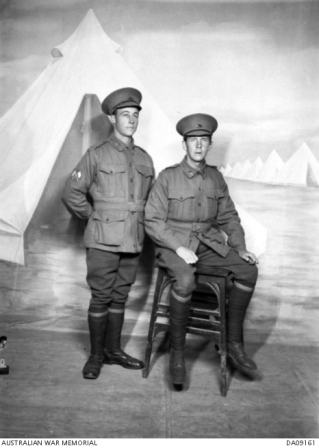 Private Amery was a manly young fellow, a true type of the Australian soldier who has won for his country imperishable fame. 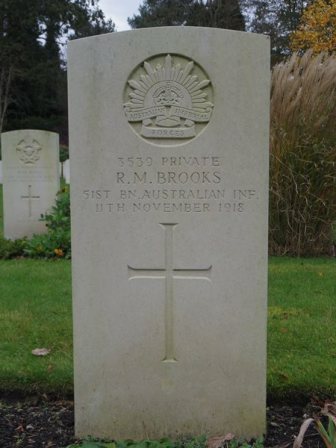 Prior to enlisting he was successfully engaged with dairying operations on land he took up at Ryde, near Sydney but as soon as he possibly could make the necessary arrangements he answered his country's call. Deceased, who. 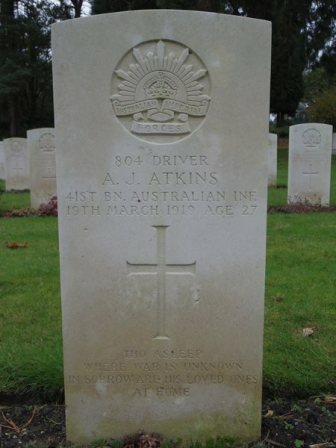 was about 26 years of age, was born at Port Pirie, and received part of his education at the Pirie West school. Doubtless he will be remembered by many of the old scholars. His widowed mother and a married sister reside at Ryde. 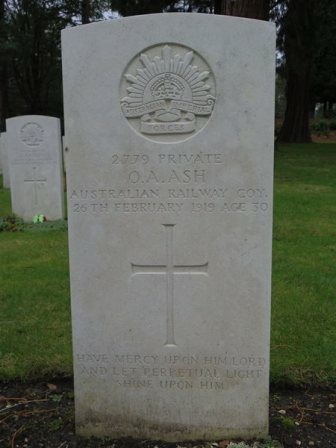 The former who has not been enjoying good health of late, last week sustained a shock as the result of a burning accident, and on hearing the news of the death of Private Amery, Mr and Mrs Dickes decided to go over to Sydney, and left for Adelaide by motor on Wednesday to catch the afternoon's express. AMERY.-Died of wounds in France on the 20th August, after 3 years and 2 months' active service. 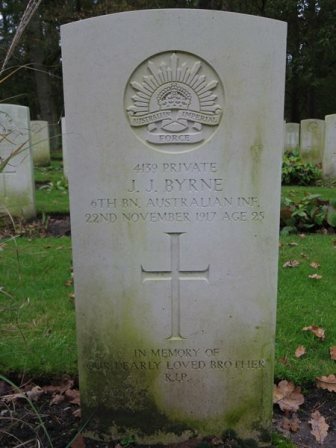 Private Pirie Amery aged 25 years, youngest son of Mrs Amery, of Ryde, Sydney, and the late Capt. 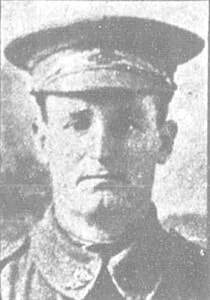 J. R. Amery (late of Port Pirie), and loved brother of Mrs. H. Dickes, of Port Pirie West; Mrs. Searle, of Ryde. and Mr. S. Amery of Hong Kong. 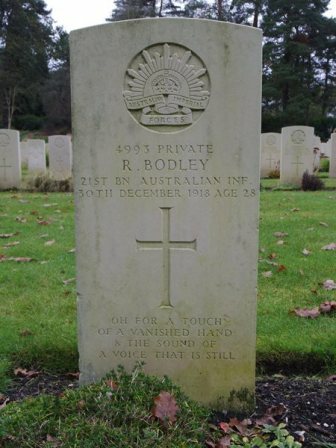 Another young Australian who heard his country's call and answered it. -Inserted by his loved ones. Son of Samuel & Sarah Atkins, Tweed River, N.S.W. 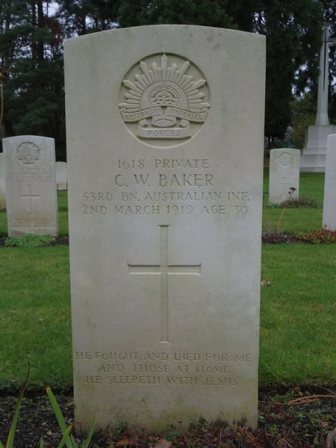 Son of Charles W. & Sarah E. Baker, Goulburn, N.S.W. 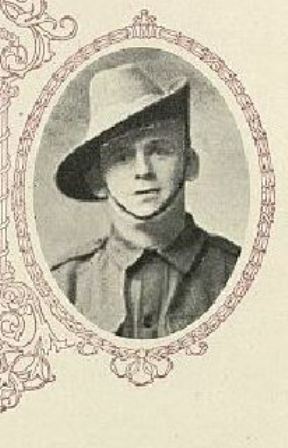 Husband of Alice M. Barr, Redfern, Sydney, N.S.W. Husband of C.M.E. Bates, Pymble, N.S.W. 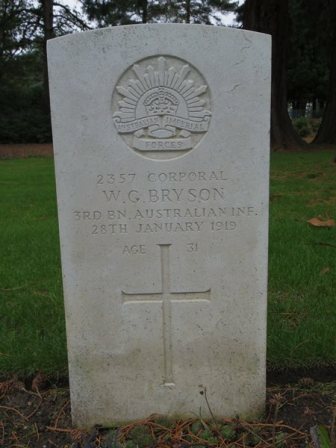 Son of William & Catherine Berryman, Goulburn, N.S.W. 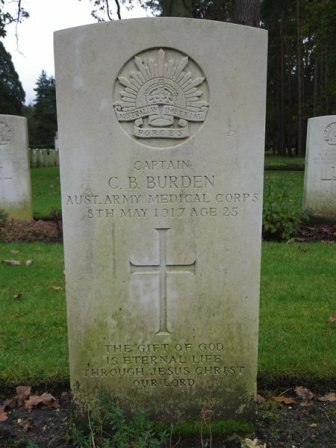 Brother of C. Burchfield, Southern Railway Co., Bristol, Virginia, U.S.A.
BURDEN.—On the 8th May, at St. George's Hospital, London, Captain Clive Britten Burden, of the Australian Army Medical Corps, A.I.F., elder dearly loved son of J. 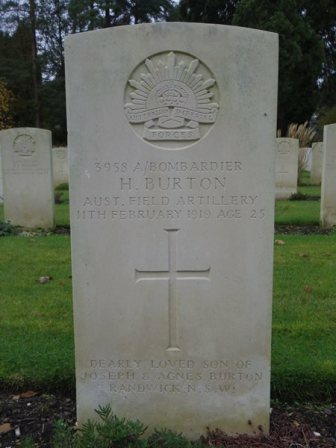 B. and M. Burden, of Henley Beach, aged 25 years. Burden was 25 years of age, and was the eldest son of Mr. J. B. Burden, chemist, of King William-street, Adelaide, who resides at Henley Beach. 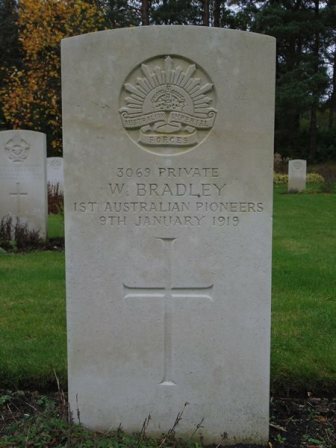 He was a medical student at the Adelaide University when the war broke out, but immediately after graduating, in July last year, he enlisted, and after obtaining his commission was sent to the front as a member of the A.A.M.C. The unit to which he was attached left the Outer Harbor in October, 1916, and went direct to England. 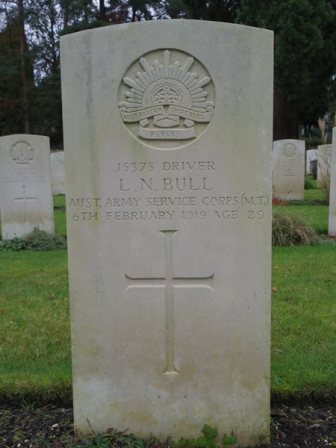 For a time Captain Burden was with the Australian troops encamped on Salisbury Plain, but subsequently he was transferred from there to the No. 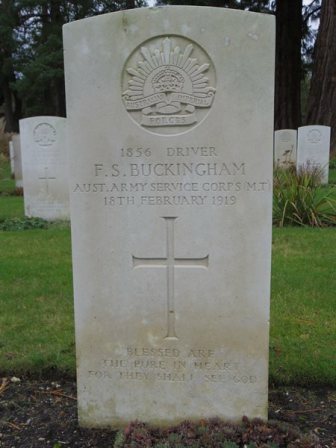 2 Australian Base Hospital in France, later, at his own request, he was again transferred—this time to the 6th Divisional Field Ambulance of the A.I.F., commanded by Major Kenneth Fry (also a South Australian), and with it spent a month in the trenches. Captain Burden then contracted measles, and apparently was invalided to England, and quite recently he sent a cable message to his parents stating that he was again convalescent. It seems clear, however, from the details given above that he had not completely recovered. The deceased was educated at the public schools and Prince Alfred College, and went from the latter institution to the Adelaide University, where he graduated in medicine. He was a young man of fine physique, standing over 6 ft. high, and his loveable nature had endeared him to hosts of friends. At college and the University he took an active part in sport, and was no mean exponent of tennis, golf, lacrosse, and rowing. 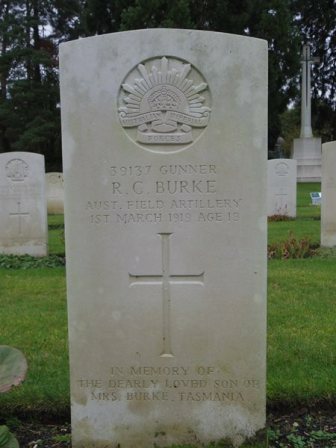 It is officially reported that Gunner Richard Burke, 12th Army Brigade Australian Field Artillery, park section, late 33rd Reinforcements, died on March l from influenza and dilated heart at the 3rd Australian Auxiliary Hospital. 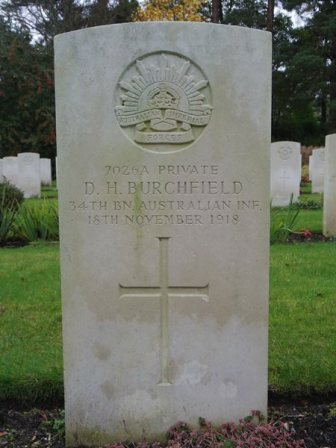 Deceased was the second son of Mrs Frances Burke, 4 Spencer-street, Launceston. Son of Joseph & Agnes Burton, Sydney, N.S.W. 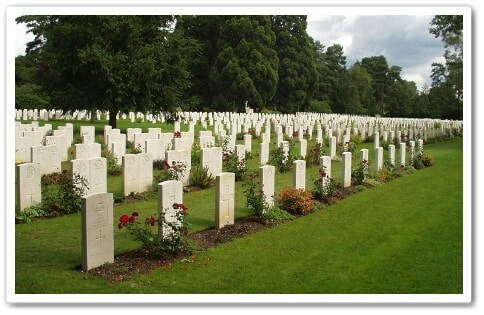 Mr. Joseph Burton was advised by the military authorities yesterday that his son, Hector Burton, who had been promoted to acting bombardier, died at Mr.
R. Wootton's home, Treadwell House, Epsom, England. 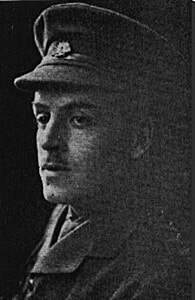 Acting Bombardier Burton had spent several periods of his leave with Mr. Wootton, and it is assumed that he was still enjoying that sportman's hospitality when attacked with pneumonia, which proved fatal. Son of Mary Ann McFarline, Sydney, N.S.W.